The digital thermometer in the den shows the outside temperature reaching into the nineties now each day. As the digits creep inexorably toward displaying three in number--and they will--I sense the need to abandon my glorious state for cooler climes. 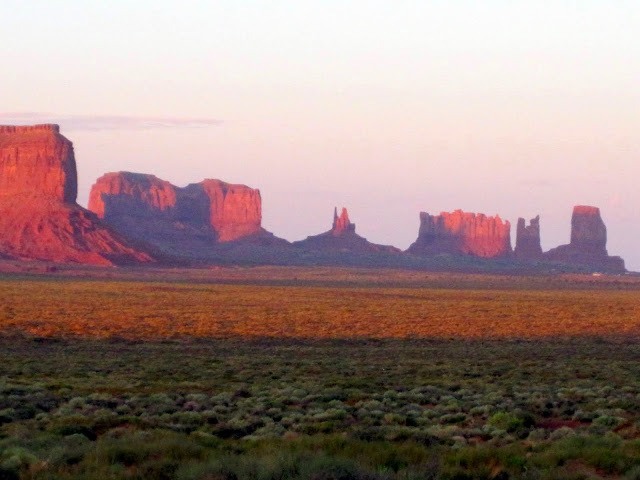 In a few days, we will begin (for us) an epic RV trip up through the mountains of the western U. S. to Seattle, where we will board a cruise ship to Alaska. (Yes, yes, I know what I wrote in previous posts about cruises, but perhaps third time is the charm, who knows?) On the way there, we will visit several national parks that we have not seen, including Grand Teton, Yellowstone, Glacier and several others. 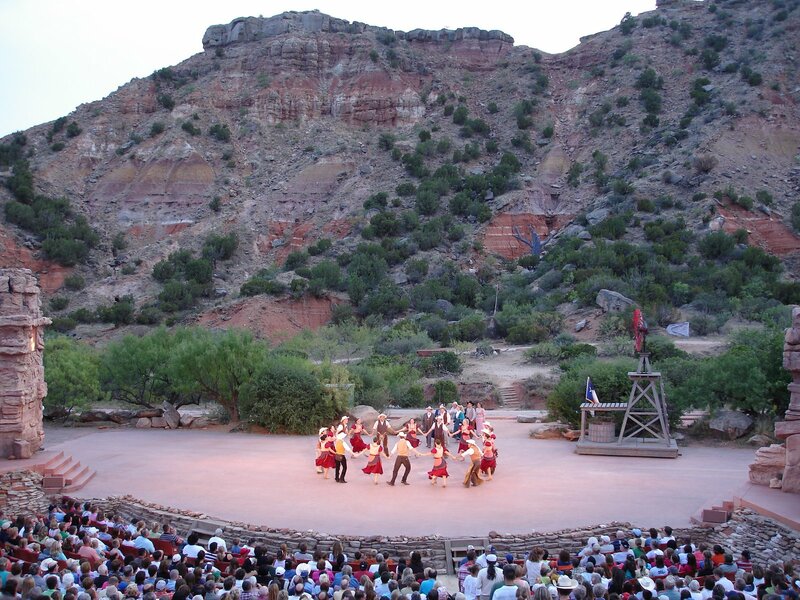 We will stop in Colorado for a few days to visit friends on the way. The trip home from Seattle will be southbound along the west coast and over to the Grand Canyon. Phannie will take us to Seattle, and we will leave her there during the cruise. Driving to Alaska would undoubtedly be a magnificent road trip, but we just don't have the stamina to do that. We admire those who have made the drive--especially those in RVs--but we are just too accustomed to the easy life and the modern conveniences and services that go along with it. For example, being without cellphone and Internet service for any length of time would make me nervous, but it would probably render Sandy comatose. Yes, we admit we are wusses, but go ahead and get your scoffing over with. It's still not gonna happen. Since our return home from South Padre, we have been beehives of activity getting prepared for our time away. There have been more dentist and doctor appointments for me and, of course, Sandy's visit to her hairdresser. If that weren't enough, there were the hedges to trim (again) and bushes to prune back. Oh, yes, and our smaller air conditioner is on the fritz. Fortunately, we are somewhat over-air conditioned by design, so we will not suffer while the unit is being repaired. Keeping up the stick and bricks house still causes me to mutter under my breath about just why we're bothering to do that. Phannie and Mae were on the to do list, as well. 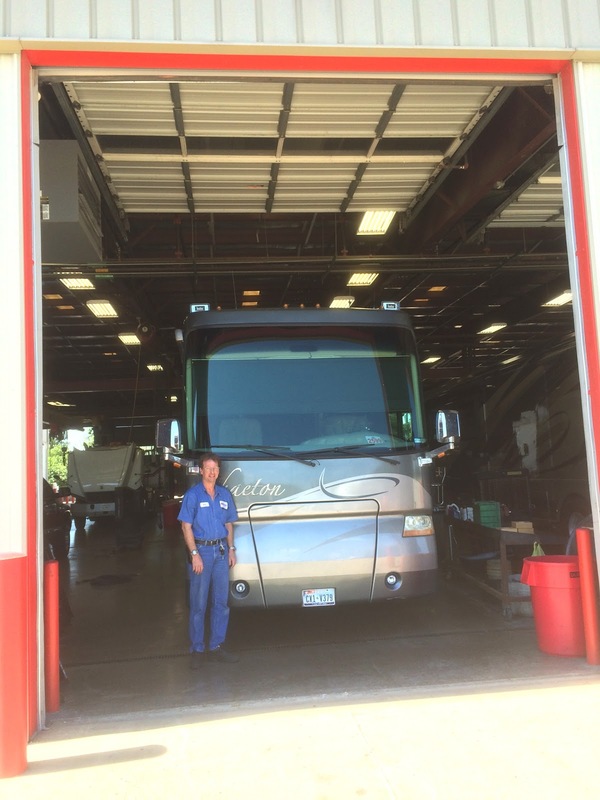 An oil change and wash job for Mae was due, and it was once again time for Phannie's annual service visit. 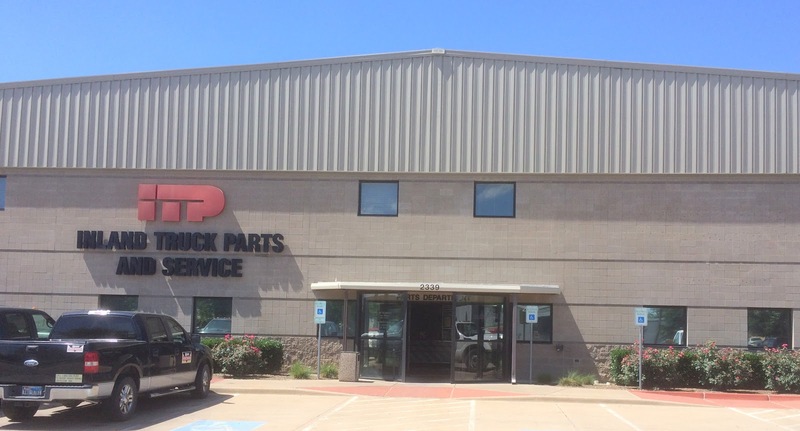 Inland Truck in Irving performed this for us, changing oil and filters on the bus engine and on the Onan genset, as well as fuel filters and a lube job. We like dealing with these people, as they are knowledgeable and friendly. Moreover, for such a large facility, they generally have a very quick turnaround. On most days, if your rig is at their facility in the morning, they'll have you on your way in the afternoon, with no reservations needed. I recommend them highly. This was a far cry from Freightliner of Fort Worth, where it took nine days to do a fairly simple repair on Phannie. I haven't been back there since. I have actually been dragging myself into doing some trip planning, using the My Scenic Drives app. I think I have pretty much settled on the itinerary and campgrounds as far as Salt Lake City, but I think I may need to do the rest of my research in moderation. (Too much planning tends to remind me of w**k.) I also use Google Earth to find campgrounds and to see what they look like at the same time. If you type in a search phrase like, "RV parks near (city, state)," you should get a nice list, with pins on the map. Then you can swoop down and take a look. 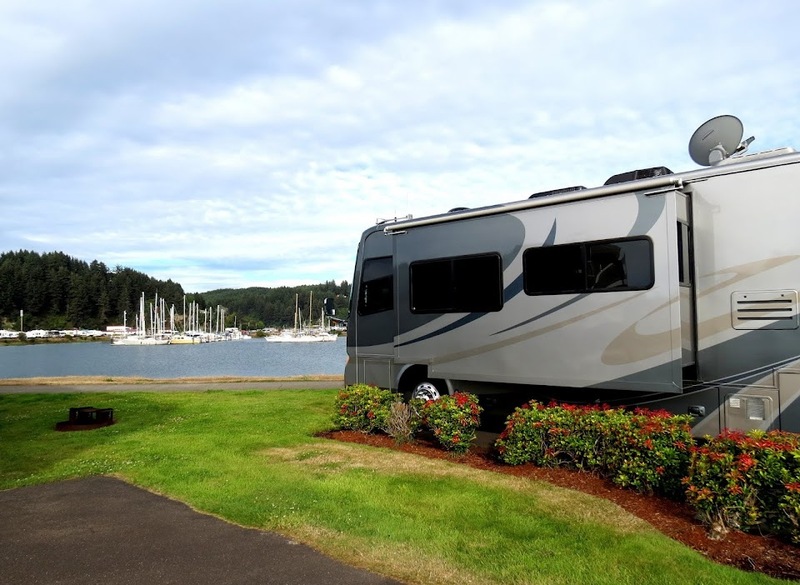 I also pay attention to the RV Park Reviews website, where I'll check to see if there are any issues at the various locations. when our sticker runs out at the end of July. As I predicted, Sandy is getting anxious about selecting her wardrobe for the trip. More often than not, she just stares into space at her closet door; I'm not sure what that means, but it probably isn't good. Thank you, Lord, for this wonderful life; please forgive me if I don't appreciate enough each day. After seeing the kids off at the Harlingen Airport for their one-hour flight back to Houston, we spent our last evening watching the sun set on the beautiful thunderheads just offshore at Padre Island. 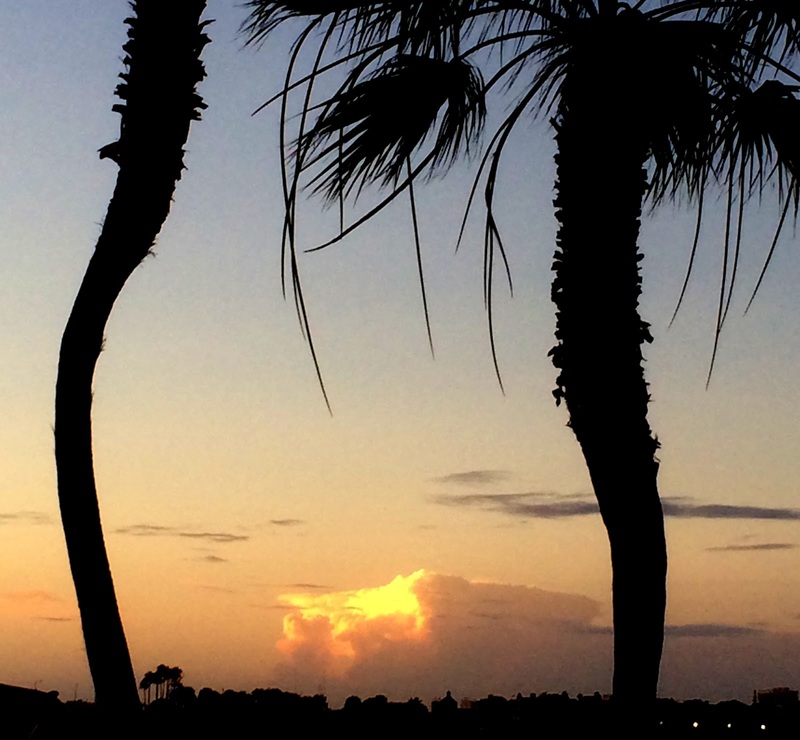 I have always enjoyed watching these majestic clouds in their billowing form that changes from brilliant white to gold to orange as the sun sets. As a pilot, however, I can appreciate their treachery, in that the outward beauty of their form belies the violence that awaits within for the hapless aviator who would enter these cells. I'm glad I always had weather radar on the aircraft I flew during my career. It must have been pretty exciting for pilots before that invention came along. 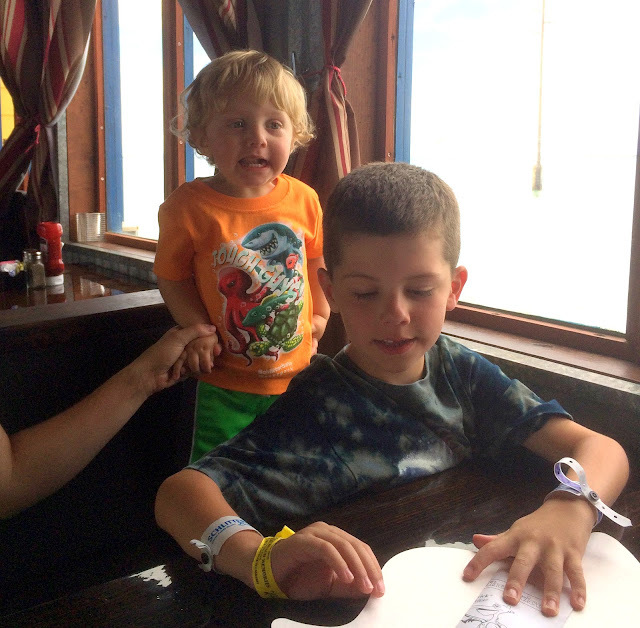 Earlier in the day, we enjoyed a lunch of fresh seafood at Pier 19, a local island restaurant built on a pier jutting out into the causeway and providing a nice view of the water and boat traffic nearby. The food here was good, by the way. 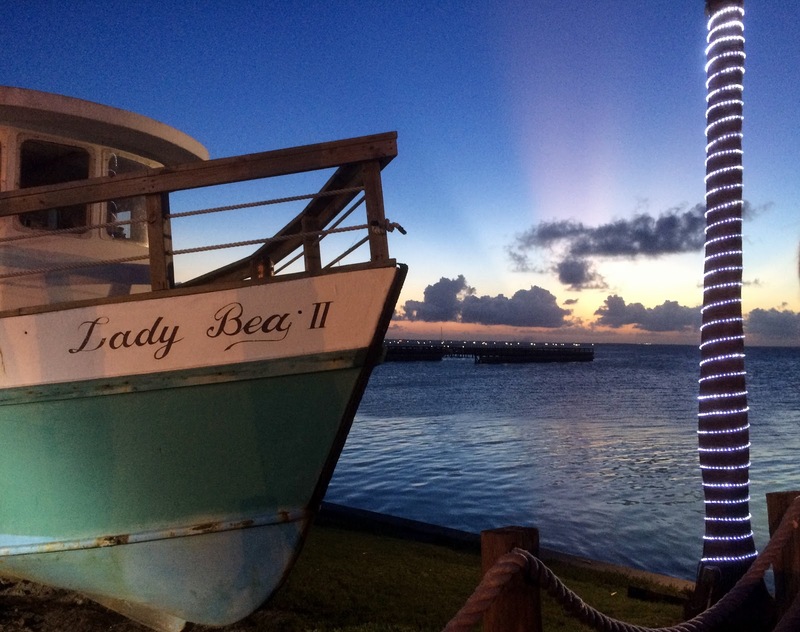 I wouldn't say it served the best seafood we had, but it is definitely worth a visit. 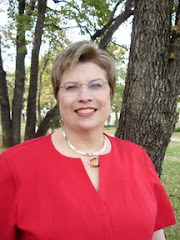 The next morning, we pointed Phannie northward toward Fort Worth, with en route stops at Corpus Christi and Spring (Houston) over the next few days. As luck would have it, tropical storm Bill had made landfall near Houston, and we wondered if we would have bad weather to deal with driving from Padre to Corpus. We kept an eye on the weather radar, using my favorite (but pricey) iPad app, RadarScope--which I highly recommend, by the way. Fortunately, tropical storm Bill's rain bands were concentrated north and east of the eye of the storm, leaving the drive from Padre to Corpus dry but increasingly windy as we got closer to the center of the rotation north of Corpus. While we were intending to spend only one night in Corpus, it turned into two. Heavy rains that had been lurking just offshore in Corpus Christi Bay finally moved onshore on departure morning, and the radar showed our route up U. S. 59 covered up with yellow and orange returns. Phannie would not be getting her feet wet this day, and Sandy decided to use the layover for the most productive thing she could think of--shopping! She offered some justification for this outing by announcing her assessment that the grandsons may not have more clothes than they can wear, so that would need to be corrected immediately! 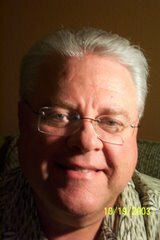 Now in the 39 years we have been together, I have learned a few things. One of them is to avoid questioning Sandy's logic when it comes to any mission on behalf of the grandkids. To reap at least some appreciation reward for what was likely to be an expensive adventure, I smiled sweetly, found the car keys and offered to drive her to the mall. What do guys know about kids' clothes anyway? Why, if it were left up to Tyler and me, the boys would probably be naked before we figured out some clothes were needed. Now Chinese buffet restaurants can be a mixed bag, as you probably know. We haven't found very many that are worthy of note, but this one is. It had one of the largest selections of food we have ever seen, and they all appeared to be fresh--a problem in many other places we've tried. Worth a visit, in my view. We're hoping for relatively dry travel toward Houston, as we wind up our weather delay here in Corpus Christi. Thank you, Lord, for this wonderful life; please forgive me if I do not appreciate it enough each day. One of the benefits of being grandparents is delighting in the joy and excitement of your grandkids as they make new discoveries in the world around them. Schlitterbahn and the adjoining beach here on the gulf coast were met with wide-eyed disbelief, and the boys have had the time of their lives (as have their parents, I think). Worn completely out by the end of each day, the kids fall into bed unconscious but somehow manage overnight to rejuvenate for another breathless adventure the next day. Oh, to have such energy and resilience at our age! 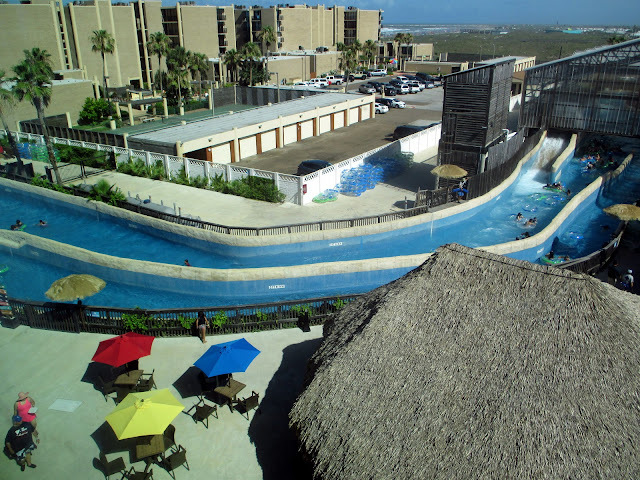 Having a room at the Schlitterbahn resort entitles guests to a discounted pass to the water park and beach area during their stay and, although the hotel is a bit pricey, the convenience of having immediate access to your room at all times is worth the cost, in our opinion. When I was growing up, these water parks hadn't been invented yet. Our "water park" was Crystal Lake, a small fee-based swimming spot near Carthage in deep east Texas. We used inner tubes, diving boards and platforms and a zip line, and we actually had to swim to avoid drowning! We had a great time, not knowing what we were missing in these elaborate parks. A great time was had by all and, at the end of the day, we got to enjoy a beautiful sunset! We left Padre with plenty of time to spare before meeting Mindy, Tyler and the kids at the Harlingen airport. 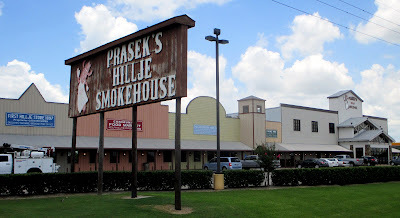 Ever on the lookout for good eateries where the locals eat, I did some research and found much local buzz about the Rio Grande Grill in downtown Harlingen. This would be a perfect opportunity for a couple of foodies like us to check it out and see if the reviews were justified. They were! I had a brisket sandwich containing huge slabs of brisket that were smoked for 16 hours, according to Dan, the proprietor. It was really, really good! Dan certainly has brisket cooking figured out, and I wish I had some more right now! Sandy, to the relief of cattle everywhere, opted for smoked fish tacos instead. While this fish taco dish was excellent, I was having a near-religious experience with the brisket, so I was not able to devote much of my attention to the tacos. That was probably a mistake, I think. After meeting their flight, we took the kids immediately to their hotel at Padre Island, some 45 miles away. 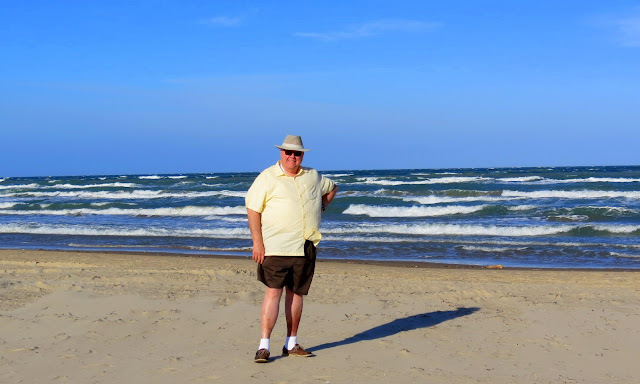 We then set out on a tour of the Schlitterbahn water park and took a quick walk out to the beach. None of them had been here before, and they took a particular liking to the fine sand forming the beach, to say nothing of the beautiful blue green color of the Gulf of Mexico. From the photos below, it looks like a hit! We had a quick and tasty dinner at Pizza Hut. (Oh, please...I can hear that tsk tsk from here; we just happen to like their pizza, so give us a break!) Besides, we find ourselves looking for kid-friendly places most often these days for some reason. More about the hotel and Schlitterbahn park tomorrow! Thank you, Lord, for this wonderful life; please forgive me if I don't appreciate it enough each day. Keeping warm is an understatement! When I stepped outside of Phannie's cool confines here in the KOA park, my glasses immediately fogged over and my clothes began clinging to my ample body. I found myself wanting nothing more but to complete the checkin and get back inside. I'm afraid Sandy and I don't do hot and humid very well. It was a lot different from our trip here last winter. This was on the beach at Padre Island back in February. Although I was wearing shorts, it was quite cold that day. The KOA is almost completely full here, but most of the RVs parked around us are of the very rudimentary variety--you know, mostly small trailers used by young families for weekend excursions. Phannie stuck out like a sore thumb among all of her much smaller brethren. We know, of course, why this is so: The snowbirds--the ones with the scratch to get the big rigs--fled north months ago. The owners of these small campers have brought their kids here for a fun weekend on the beach or in Schlitterbahn. That, of course, is why we are here, but I'm afraid Sandy and I will spend a good deal of time in Phannie, enjoying the frosty climate provided by her three air conditioners. Mason and Pryce, who will be captivated by the Schlitterban experience, won't miss our occasional absences a bit. Still not having had our quota of fresh seafood, we motored over the bridge to Port Isabel to look for some. 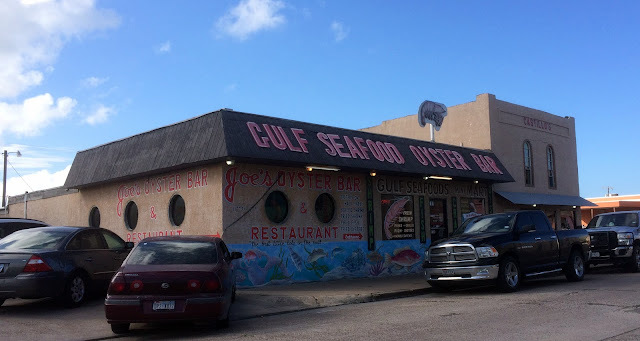 We usually go to Dirty Al's here in South Padre, having become aficionados after Ed and Marilyn took us there in recent years, but we decided we would see what is available across the causeway. Using Yelp to help us, we found Joe's Oyster Bar, a restaurant that became the offshoot of a local seafood market. 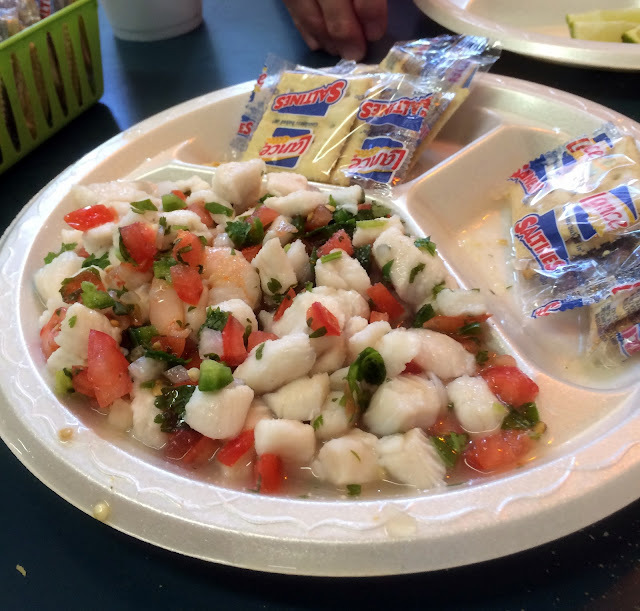 The food here was wonderful, and the ceviche got our nod for the best we had ever had. Joe's pretty well qualified as a dive, since we had to walk through the fish market to get to our table, and patrons ate their meals from plastic picnic plates. But we didn't care because the food was SO good. 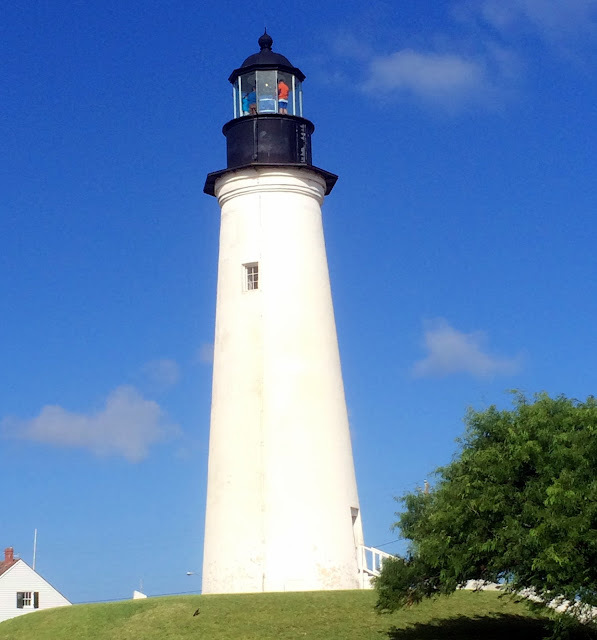 Strolling around Port Isabel, we enjoyed visiting the historic lighthouse built here in 1852. Back then, Port Isabel was an important pre-civil war shipping point for cotton, and the old lighthouse guided many a ship safely into the harbor over the years. After dinner, we went to Wally World to pick up some treats for the kids to have on hand in their hotel room. When we finished with that, we stopped at an ice cream parlor near the old lighthouse and enjoyed a cone as we strolled out to a nearby dock to enjoy the sunset. It was a fine day, and we enjoyed all the new experiences. 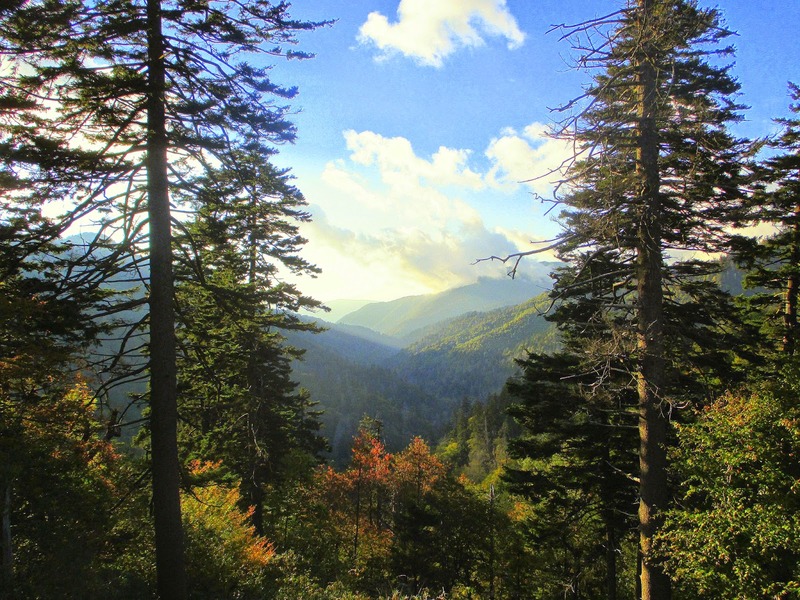 We continue to pinch ourselves as we travel to all the places we go, enjoying scenes like the one above. Here's to retirement! and please forgive me if I fail to appreciate it enough every day. Corpus is a favorite stop on our way to the Rio Grande Valley, as it is about halfway between Houston and Harlingen and fits nicely within the 200 mile daily travel range that we prefer in Phannie. 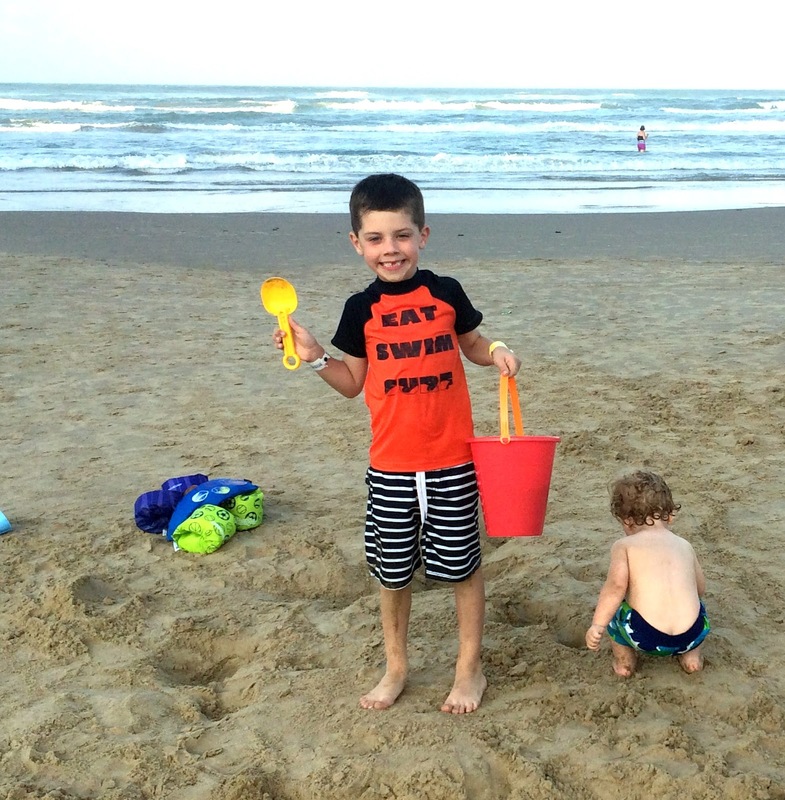 Normally we would not be headed south in the summer here in hot Texas, but we've arranged a long weekend on South Padre for Mindy, Tyler and the boys, and we wouldn't want to miss being a part of that adventure. 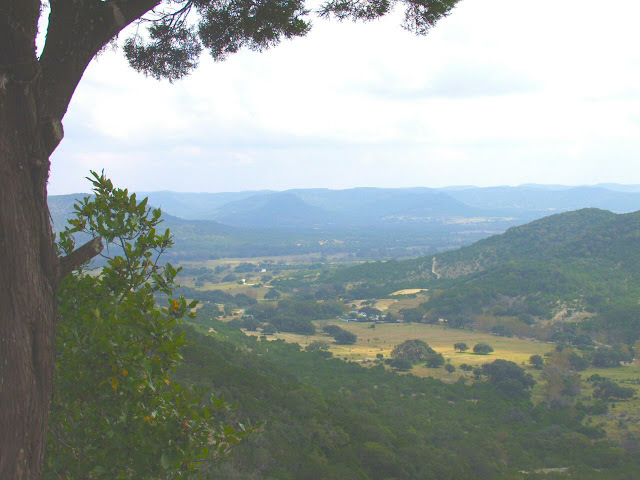 While on the road, we usually pull into a rest stop around noon and fix a little lunch for ourselves and then try to find a new favorite restaurant for dinner once we reach our destination. Now since we are in Corpus, you can rest assured we will be after some seafood, and I read in Yelp about a real dive named King Seafood. I was pretty pumped to try this place because it was a mom-and-pop type joint with good reviews, and it fully lived up to its description as a hole-in-the wall. Walking in, we saw before us a small room with patrons at all seven tables. These folks appeared to be all locals who stared at us, seemingly in disbelief that someone from out of town would dare to try this restaurant which was anything but appealing to passersby. But oh, was it worth it! 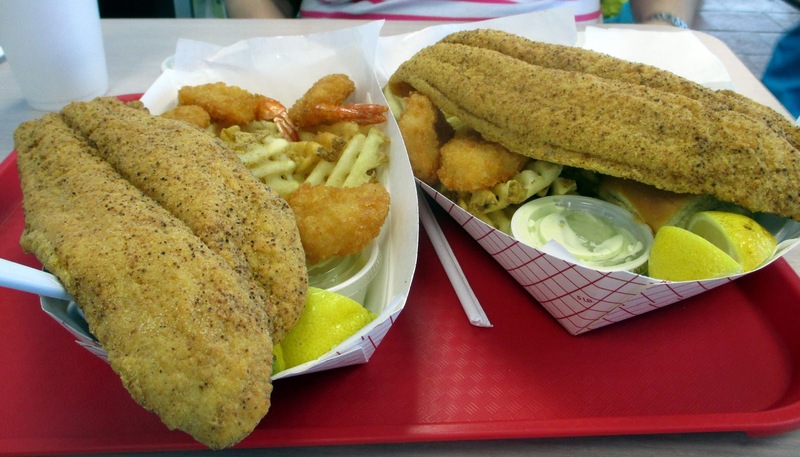 We love fresh seafood, and although we are very fond of the much healthier grilled seafood, we sometimes just have to order it fried. We are from the South, after all. We got a huge flounder filet, along with shrimp, fries and a drink for a little over nine bucks. What a deal! After we plowed into it, we agreed that it was some of the best and freshest seafood we had ever eaten--and I don't think it was just because we were hungry. After recovering from this engorgement, we drove around Corpus for a while. 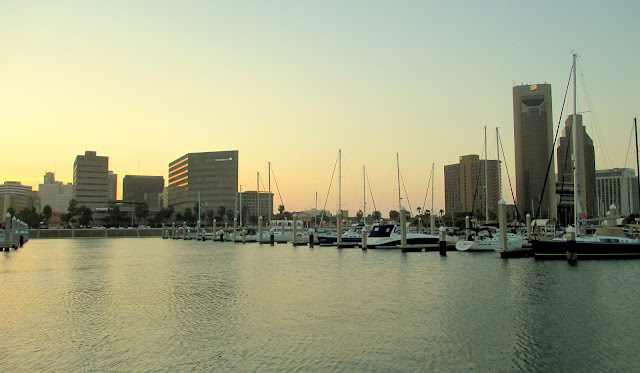 At one point, we stopped and sat on a bench overlooking Corpus Christi bay, enjoying the cool breeze blowing inland from the gulf. 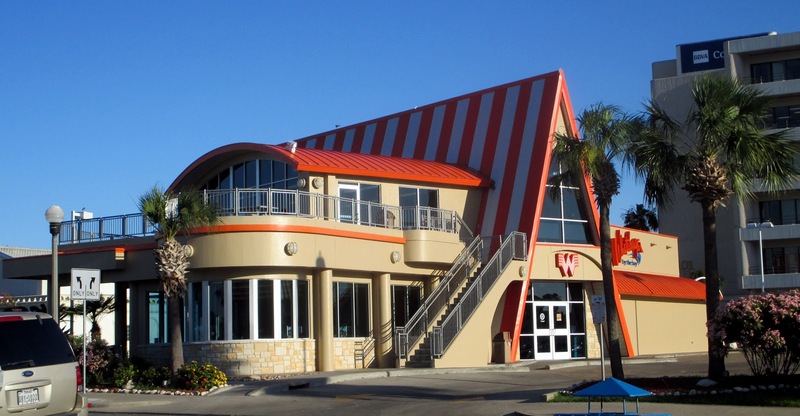 For those of you who are enamored with Whataburgers (and who isn't? ), I just happen to have snapped a photo of Whataburger #1, built here in about 1950 and much upgraded since. 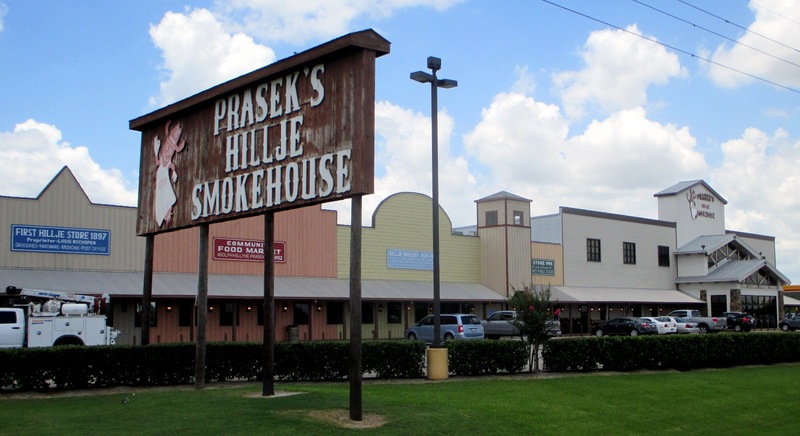 Earlier in the day, we stopped in Hillje, a little town on US 59 near El Campo, Texas to give Prasek's Smokehouse a try. This huge place is a foodie's dream, packed with all sorts of smoked meats, cheeses and bakery goods, some of which we purchased and are working through to see which selections we like best. We'll give you a report on that later. We will be in Padre Island tomorrow, and the kids will fly down and join us on Friday. Stand by for fun! and please forgive me if I don't appreciate it enough each day. 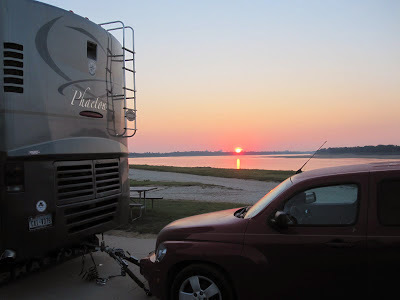 After nearly floating away in the record-breaking spring rains, we finally have some decent sunny weather just in time to begin an exciting summer of RV travel. Our first adventure will be a long weekend at South Padre Island, Texas with Mindy, Tyler and the grands. Mason has been to the beach only once, and that doesn't really count, as he was having to dodge mounds of rotting seaweed that had washed ashore in the dishwater-colored waves at Galveston. 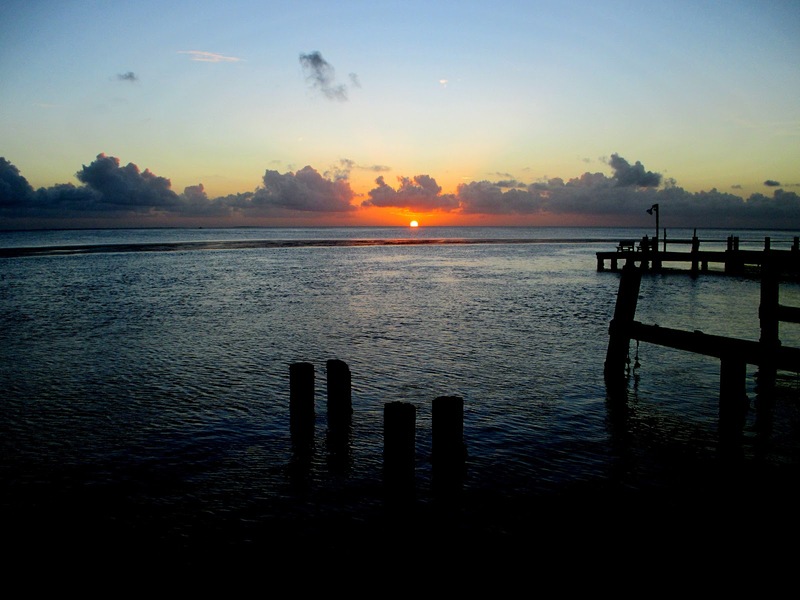 South Padre, of course, will be a delightful opposite in terms of its aesthetic appeal. This will be Pryce's first real experience on the beach, and we're looking forward to his reaction. The boys will also enjoy the Schlitterban water park near their hotel, and we will be there to see it all. Sandy and I are normally not what you would call beach people. We like to visit the ocean but have a very low tolerance for heat and sun exposure; however, where the grandkids are concerned, we will deal with it to be with them. 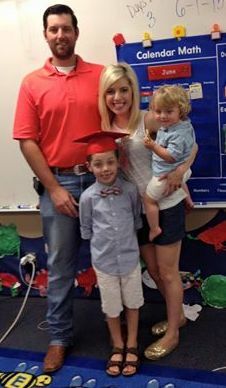 We are currently stopped at Rayford Crossing near Houston to celebrate Mason's sixth birthday and his "graduation" from kindergarten, complete with a mortarboard cap and the playing of "Pomp and Circumstance." Things are obviously quite different now in school, I guess. I was telling Mindy that when I went to elementary school, not only was there no graduation program for kindergarteners, there was no kindergarten from which to graduate! Somehow, though, most of us managed to have some success in life; I'm just not sure how. As I mentioned in the previous post, we will be heading out after Padre on our trip to Alaska (RVing to Seattle, then via cruise ship). During a few days at home beforehand, Sandy will finally have to face the rigors of choosing her wardrobe. I'm not sure what kind of phobia describes a woman's fear of not having the right attire for every occasion, but she seems to have it. Given the length of this trip, along with the wild extremes in climate to be encountered and with limited closet space and the requirements of shipboard attire, this has become the perfect storm for Sandy. I'm sure she will need some Xanex before launch day. I have begun some trip planning using My Scenic Drives website (I have no affiliation), a free trip planner that I rather like. It has some pretty neat features, and I can save my trip plan and return to work on it whenever I like. Thank you, Lord, for this wonderful life, and please forgive me if I do not appreciate it each day as I should.